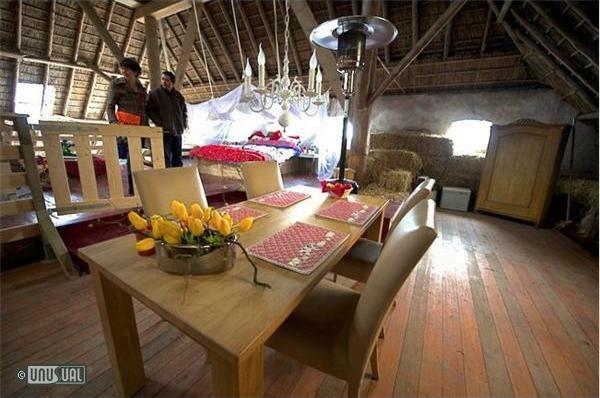 Hans & Wil Hoogeboom offer different options for straw-themed accommodation on their Hayema Heerd farm. 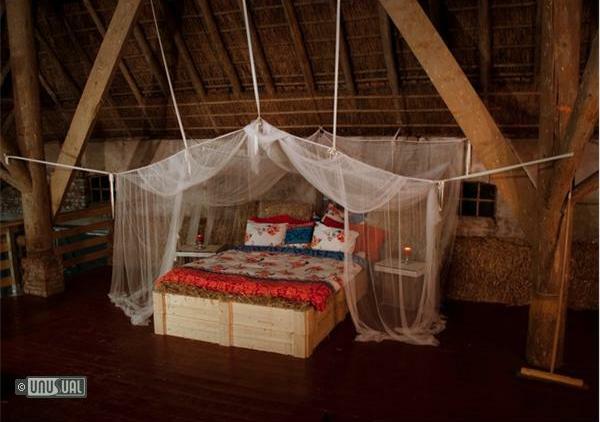 Maybe a classic hayloft straw bed? 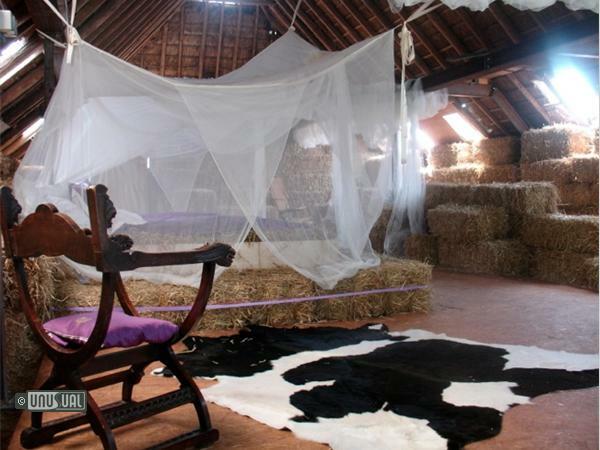 Or a straw castle with drapes, fancy chandeliers and soft cow skins on the floor? 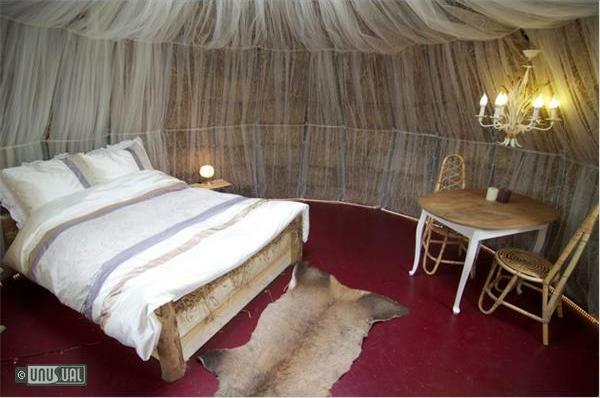 Perhaps a straw igloo with clear glass central viewing panel for guests to stargaze from the comfort of their bed? 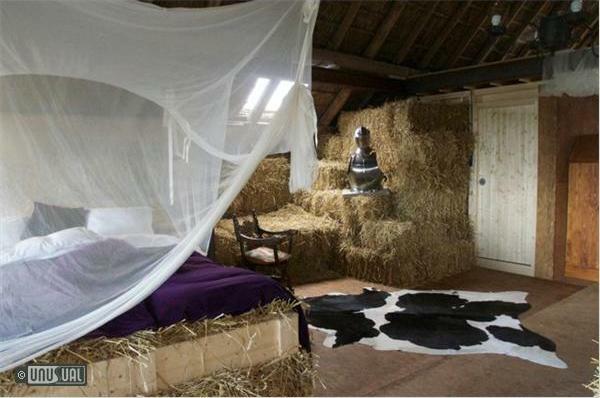 With a thick layer of fresh straw covered by a comfortable mattress, sleeping on straw is soft, springy, comfortable and warm all year round. There are three sleeping options at Hayema Heerd. 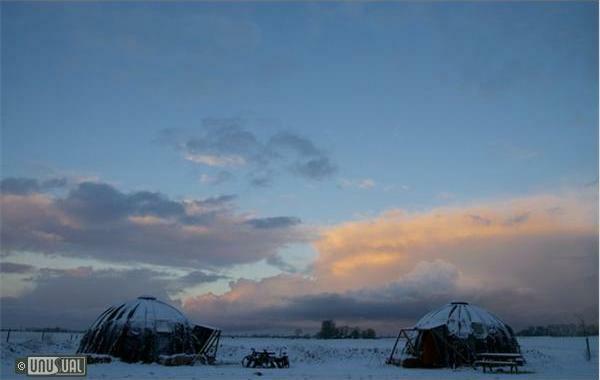 The hayloft, straw castle and some special straw igloos. 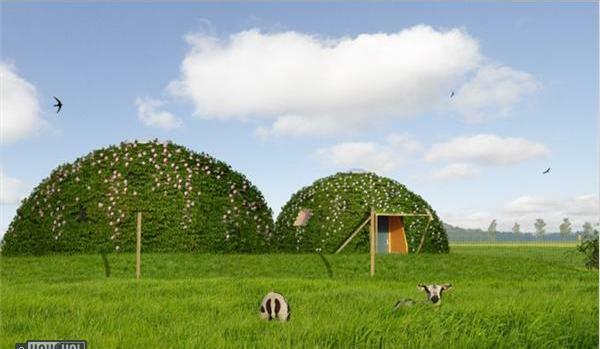 These igloos are well insulated - so suitable for year-round usage. They feature a clear centre skylight, so you're able to look at the stars from the comfort of your bed. 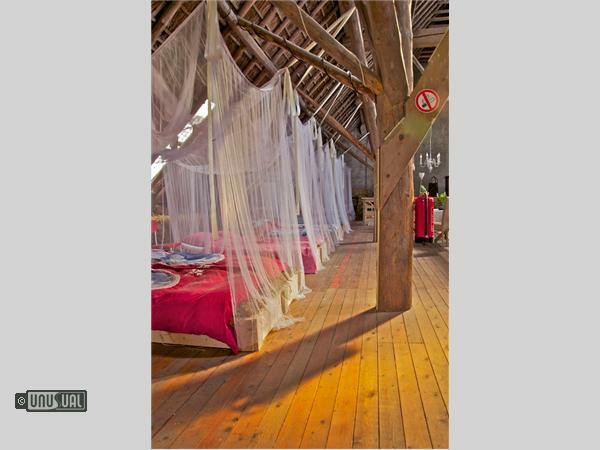 15% discount if you book for two nights You get a discount when booking for more than 4 persons. Ask for details. Also ask for latest special offers. 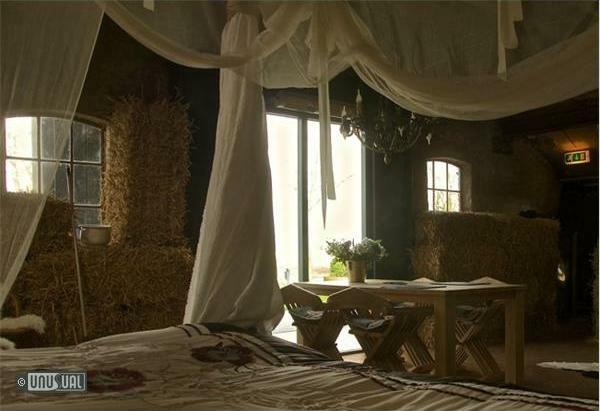 Stays in straw include luxury linen, a welcome drink, mini-bar usage and breakfast. 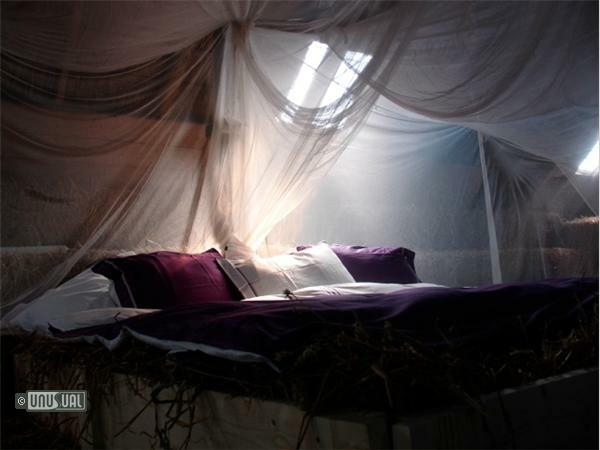 You sleep in a large bed made of a thick pile of straw, covered by soft comforters with fine linen and lots of pillows. 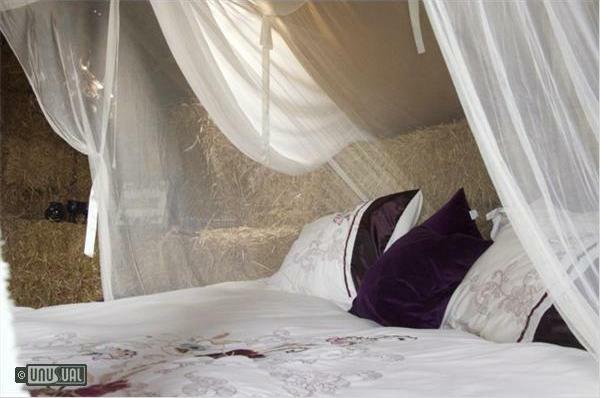 Mosquitos or flies won’t bother you because you're under a mosquito net. “Won’t straw itch?” No! Not at all because on top of the straw lies a comfortable soft mattress. You will find that sleeping on straw is soft, supple and comfortable. There is also a small fridge containing a few refreshing drinks. In the morning, a generous breakfast awaits. Sleeping in Straw is also possible during winter. Radiant heaters ensure the room is kept at a pleasant temperature. 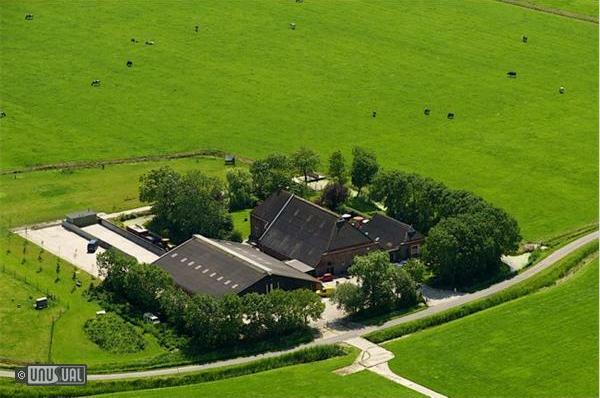 Hayema Heerd is situated just 15 minutes drive from the centre of Groningen, where you’ll find restaurants, shops, bars and historical sights. 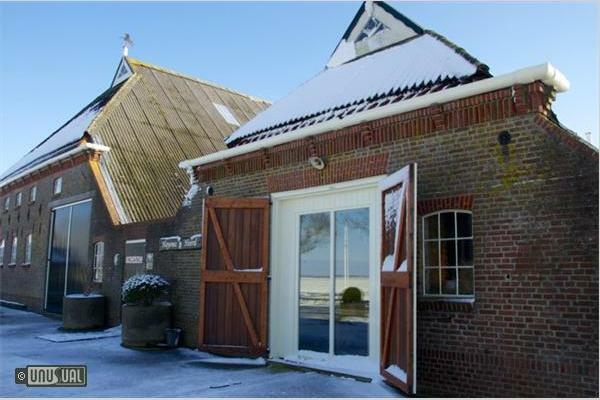 It is about 25km from the Wadden Sea, a UNESCO World Heritage site. 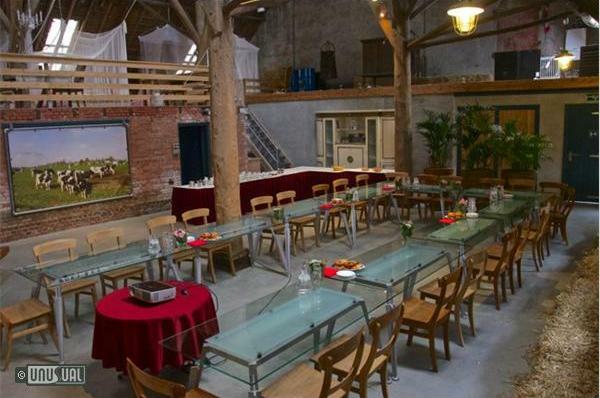 In the morning guests are offered a generous breakfast buffet with several bio and local products. 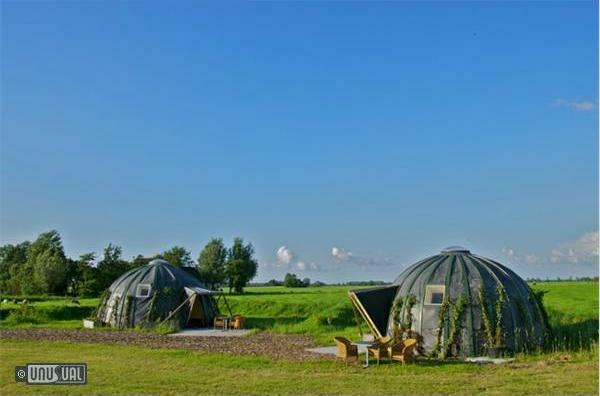 A range of unique activities can be arranged including ‘be a farmer in two hours’, a trip on the elliptigo exercise bike, a sailing safari or hike to the Wadden Sea.